Welcome to my very long overdue review of the classic album Close to the Edge by the band Yes. I'll begin by stating I believe this album is a musical masterpiece. Close To the Edge is in the top ten of my favorite albums. Progressive rock is an acquired taste for some. Whether you like progressive rock or not, no one can deny the songs, musicianship, lyric writing and artwork that came together to comprise this album is impressive. 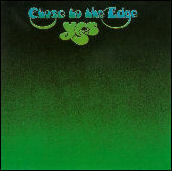 In 1972, English progressive rock band Yes released their 5th studio album, Close To the Edge. 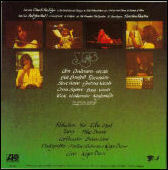 I remember first hearing the album when visiting a childhood friend during summer vacation in 1973. When I got back home after the visit I couldn't wait to buy the album. Close To the Edge has three songs on it. The title song "Close To the Edge" takes up the whole first side of the album. "And You and I," followed by "Siberian Khatru" comprise the second side. The album opens with the serene sounds of water running, possibly in a river, and birds chirping. Then the music starts. The opening instrumental section of the song "Close To the Edge" has among the most inspiring, dense, chaotic, and at the same time beautiful, musical passages I have ever heard. After the musical introduction, two minutes into the song there is a brief vocal interjection, "Ahh..." then back to the instrumental work. Than another, "Ahh..." Steve Howe's guitar work on the instrumental section before the lyrical singing is simply breathtaking. Drummer Bill Bruford and bassist Chris Squire round out the sound with innovative playing. Bruford isn't playing traditional rock drum patterns here. His playing is jazzy and free form and not locked into any conventional rhythm. Chris Squire's upfront, fuzzed bass playing perfectly compliments the rhythm and adds character to the song which would be missing without it. Jon Anderson's lyric writing at the time put more emphasis on how words sounded when sung together and incorporated with the music, than having the lyrics follow a traditional narrative. This adds an air of thought-inspiring mystery to this song, and the others on the album which is difficult to express without actually hearing it. For me sometimes narrative lyrics can distract from the music, pulling my attention away from really hearing the instrumentation. On this album the lyrics and instrumental balance is just right. There are multiple sections in the song played in different keys and time signatures which come together seamlessly, giving it a structure and feel like some of the best symphonic music I've heard. There is a very pastoral section starting about 9 minutes in that grounds the song. The group's harmonized singing accompanied by Rick Wakeman, Squire and Howe's restrained playing is ethereal, before the more frenetic closing section begins. Wakeman's heavy church organ soon takes over and begins the journey to the end of the song. The end is more structured than the beginning. This is where Wakeman's keyboard playing really shines. His playing here is unrestrained progressive music bliss! The classical aspect of the song is emphasized again by the nearly 19 minute length of the piece ending the same way it started, with the sound of water running and birds chirping. The next song on the album, "And You and I," starts with the sound of Steve Howe playing harmonics and speaking to someone (maybe the recording engineer/co-producer Eddie Offord) as he is checking the tuning of his 12 string acoustic guitar. Effortlessly the tuning evolves into Howe playing a beautiful and proper introduction to the song. It's a simple cord progression that plays out with the addition of Rick Wakeman's organ and Squire's bass. Immediately you sense this is a different type of song than the one you just heard. The music is soft and soothing with a slight touch of melancholy. There is none of the dissonance which is heard on the opening and closing sections of "Close To the Edge." Anderson's voice is sweet and comforting. 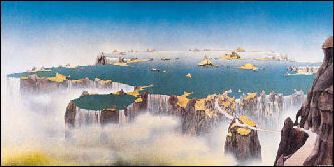 "And You And I" is similar to "Close To the Edge" in that it has a classical structure where there are multiple sections which incorporate elements of the preceding sections. The second section reuses some of the lyrics from the first section in a different melody. This is an important theme in the song, as it asks you to listen to the same lyrics again, but in a different musical context. The third section of "And You and I" begins with the opening guitar piece played by Howe in the first section. But this time, the melody has a ragtime and more upbeat feel to it. Again, the opening section lyrics are used over the new melody. Here, "And You and I" resolves some of the dissonance that "Close To the Edge" had. There is a very light joyous feel to this part of the song. "And You and I" ends with Anderson singing, "And you and I called over valleys of endless seas." accompanied by Howe's acoustic guitar and then a final goose bump inducing steel guitar flourish. It's a bit jarring to hear the strident start of "Siberian Khatru" after hearing the beauty and grace of "And You And I." From the first opening notes, "Siberian Khatru" rocks. It's among the most aggressive songs Yes plays. The notes are played breathlessly fast at times. "Close To the Edge" is sprawling, symphonic, and at times dissonant. "And You and I" is sweet & beautiful with a pinch of melancholy. "Siberian Khatru" hits hard and wakes you up after the peaceful serenity of "And You and I." This is heavy metal Yes, but with a decidedly positive attitude about it. The riffs that Wakeman, and especially Howe play throughout the song are musical genius. The notes they play hold your attention and allow you to listen to what the rest of the band is playing at the same time. This song has a more traditional rock music structure than the previous songs, but still has a very progressive feel to it. There is a section at end of the song that works particularly well. Anderson sings a series of words that sound a bit random. "Bluetail, tailfly / Luther, in time / Suntower, asking / Cover, lover." Some of the words you have heard earlier in the song, but new pairings are added, "Christian, changer / Called out, savior / Moon gate, climber / Turn round, glider" but these words are now in a very different musical context. The lyric effect combined with the gorgeous instrumentation makes you think about how those words might be associated or possibly how different they are from each other. After hearing Steve Howe's fiery guitar playing at the end of "Siberian Khatru" fade out, I often want to go back to the beginning of the album and listen to the whole thing all over again. It is just that good!